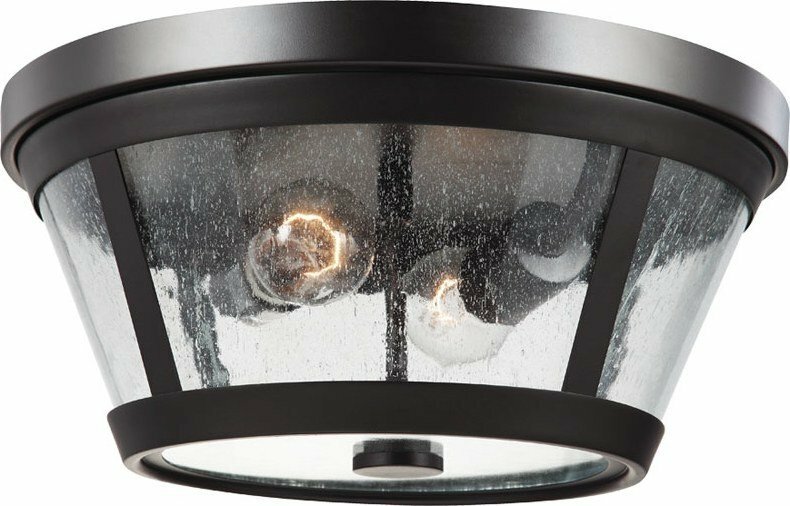 The Feiss Harrow two light flush mount fixture in oil rubbed bronze enhances the beauty of your home with ample light and style to match today's trends. 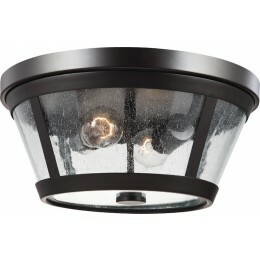 The Murray Feiss FM393ORB Harrow collection Close to Ceiling Lighting in Oil Rubbed Bronze uses Incandescent light output and brings Modern style. 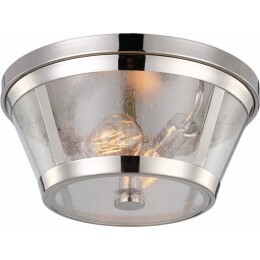 This item is 6.5"H x 13.75"W. The total wattage is 120 and the voltage is 120 volts. 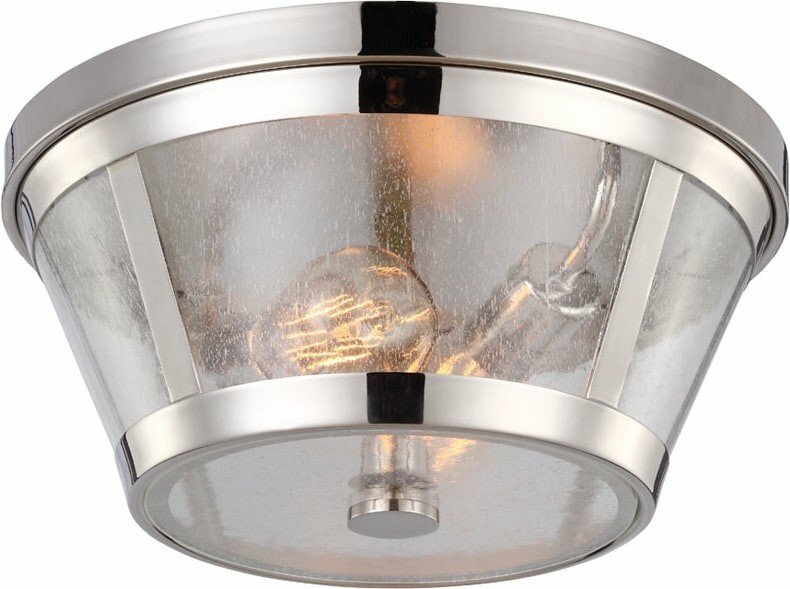 The Murray Feiss FM393ORB requires 2 bulbs (not included). Additional Information: Shade-Clear Seedy Glass Panel.